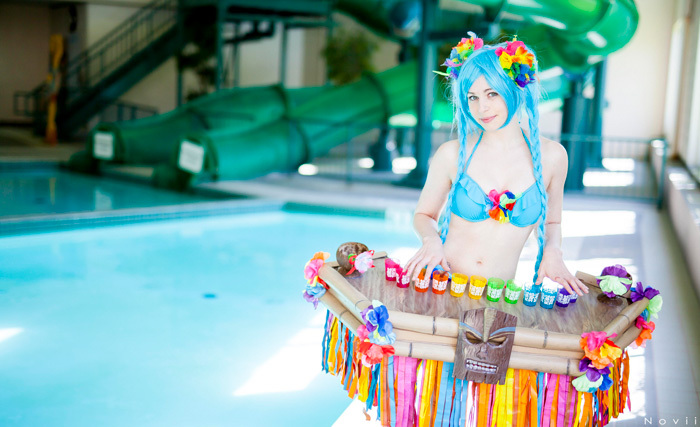 "I started playing League of Legends this year and fell in love with this game. 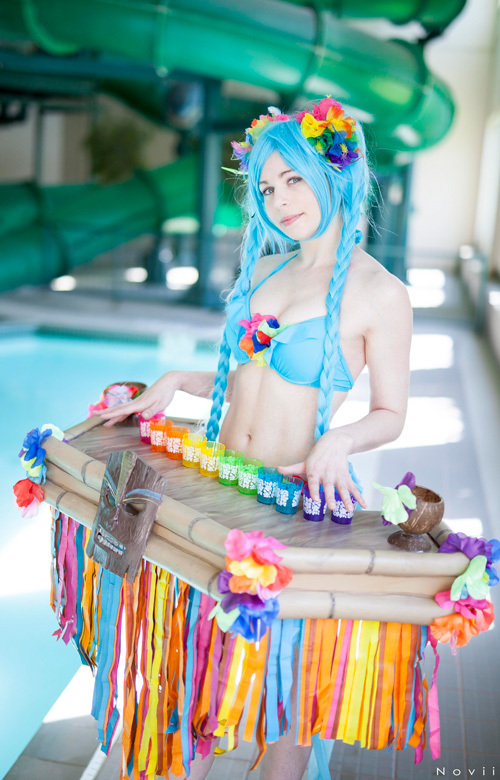 Sona is a character that I love to play, and am actually really good at. 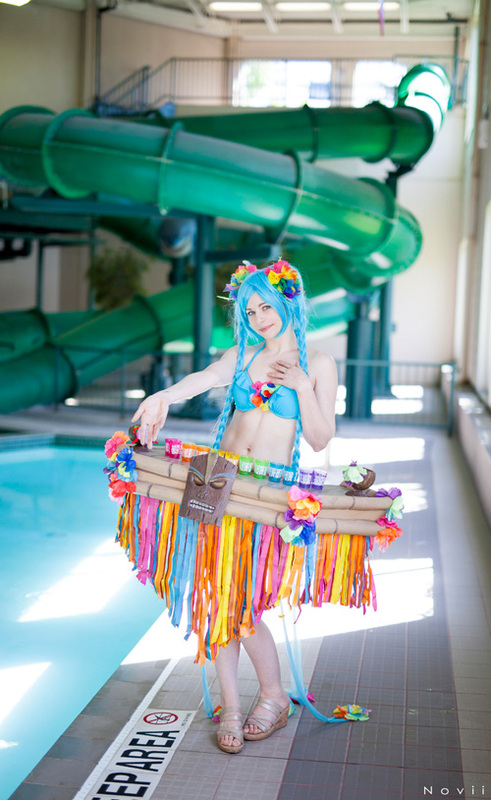 When I saw the Pool Party skins, I knew that I wanted to do my own version for Sona, so I came up with this concept. I love the Tiki bar so much and love how it turned out, it's so light! I made it out of foam core and eva foam with some shot glasses and coconut cups and painted the top to look like wood. I have since added lights into it as well. I hope you enjoy this concept!"